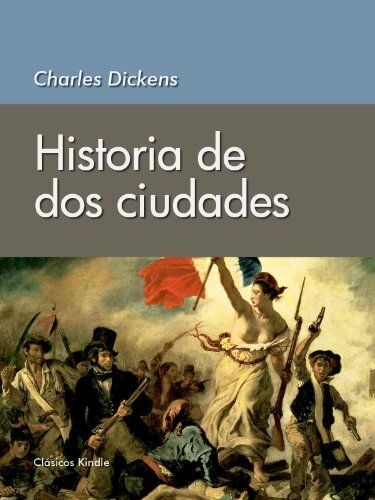 ﻿ Download/Read "A Tale of Two Cities" by Charles Dickens (web, epub, html, mobi) for FREE! A Tale of Two Cities (1859) is a novel by Charles Dickens, set in London and Paris before and during the French Revolution. With well over 200 million copies sold, it ranks among the most famous works in the history of fictional literature. The novel depicts the plight of the French peasantry demoralized by the French aristocracy in the years leading up to the revolution, the corresponding brutality demonstrated by the revolutionaries toward the former aristocrats in the early years of the revolution, and many unflattering social parallels with life in London during the same time period. It follows the lives of several protagonists through these events. The most notable areCharles Darnay and Sydney Carton. Darnay is a former French aristocrat who falls victim to the indiscriminate wrath of the revolution despite his virtuous nature, and Carton is a dissipated English barrister who endeavors to redeem his ill-­spent life out of his unrequited love for Darnay's wife. The 45-­chapter novel was published in 31 weekly installments in Dickens' new literary periodical titled All the Year Round. From April 1859 to November 1859, Dickens also republished the chapters as eight monthly sections in green covers. All but three of Dickens' previous novels had appeared only as monthly installments. The first weekly installment of A Tale of Two Cities ran in the first issue of All the Year Round on 30 April 1859. The last ran thirty weeks later, on 26 November.